Product Description: A vivid visual record of America's most popular pickup trucks The most complete history available of Ford's greatest pickup A comprehensive compilation of detailed specifications and photos of over 50 years of Ford pickups A year-by-year review of the Ford F-series pickups Detailed information on prices and options Examines in detail both limited edition and mass-produced F-series pickups Loaded with color photos including Lightnings, Harley-Davidson and King Ranch F-series. 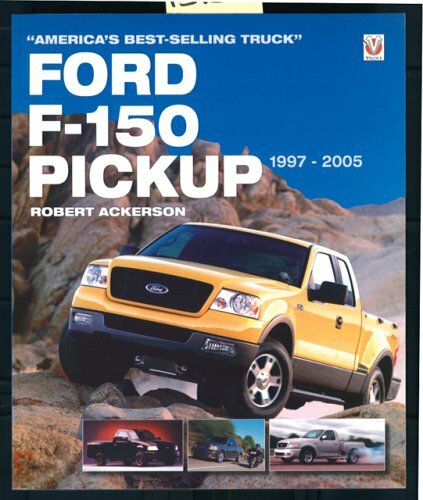 This book examines all aspects of the history of one of Ford Motor Company's greatest successes: the F-series pickups. Complementing a detailed text examining annual model changes, options, specifications and the unique appeal of Ford's limited-edition and high-performance pickups are hundreds of illustrations, nearly all in color.